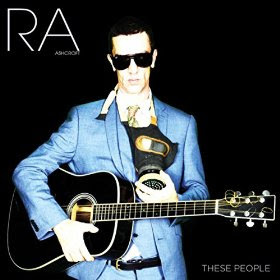 We're getting closer to the release of Richard Ashcroft's solo album These People, which arrives May 20th. Last month Ashcroft debuted the first single and video for "This Is How It Feels" and now he's issued another track, a surprisingly poppy, intensely sugar-coated number titled "Hold On." A Northern Soul it is not. However it is super catchy in a riding-down-the-freeway-with-the-top-down sort of way. If nothing else, it'll make fans even more eager to hear what else Ashcroft has up his sleeve on the full length record. Indeed it is wonderful Ashcroft is inspired to create new music, and who knows where he'll take us next. These People will be released on May 20th. Pre-order from iTunes, Amazon, or Richard Ashcroft's official store.